"Marcel is a fantastic massage therapist. He loves what he does which is clearly demonstrated through his amazing massages. Not only does he have magical hands, Marcel has a great personality that makes the experience all the more worth while!" "Marcel has a special gift and talent. His method is organic, effortless. He has a deep instinctual understanding of the body that is very rare. Coupled with his kind, friendly, and welcoming nature it creates an experience well worth it." 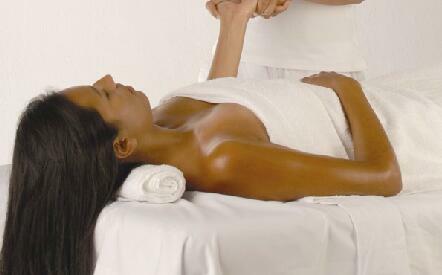 "I have tried many massage therapists and Marcel is the best I have ever been to. He truly understands the science of massage and has the ability to take your pain away. I would urge anyone that is looking for an experienced massage therapist to contact Marcel. Truly an expert in his field!!!!" "Marcel is a great massage therapist! He is professional and knows how to get rid of your aches and pains. I have been to over 50 therapists in my life time, and Marcel is one of the best. I currently get a massage every month from Marcel and he is great. I look forward to it." "Best massage I have had. Great location, good price, very professional atmosphere. Comfortable with the whole experience. I recommend Marcel highly." "I just had an excellent massage from Marcel. His technique is truly excellent. He applies just the right amount of pressure and has given a consistently wonderful experience each time I have seen him. I have been to many massage therapist and he is surely one of the best!" "I have seen about 15 different massage therapists in my life, and none compare to Marcel. He is a true professional with significant talent in the art of massage, and with Marcel, it truly is an art. His technique is one I would define as gentle deep tissue massage. For those who generally shy away from deep tissue massage, I would highly suggest giving Marcel a try. I love a good deep tissue massage, but his doesn't feel like a typical deep tissue. Instead it's a slow and graceful kneading that slowly dissolves those pesky knots and leaves you nodding off in a blissful state of relaxation. I've seen Marcel about a dozen times and his technique only gets better as he gets to know your likes/dislikes. I would HIGHLY recommend giving him a try. He is truly worth every penny...and more." "Being an avid believer of massage therapy, I came across Marcel by chance and decided to try him out. Not only is he skilled in his practice but also very professional. I would certainly recommend him to others without any hesitation." "I had just returned from thirteen days in Russia and was still jet lagged and very tense. Marcel worked wonders and found slabs of tight muscles that I did not even know were tense. Marcel put me on my way to recovery." "I walked in very tight and walked out feeling fantastic. Marcel is definitely a very thorough and accurate massage therapist and I highly recommend his services." "I recently had a great massage with Marcel. He melted my tension away. Marcel began delicately and worked into a deep and thorough massage rejuvenating me and enabling me to take a 4 hour round trip easily. He naturally knew how to ease my tension with little input by me. The massage was NOT RUSHED and I strongly recommend him. The atmosphere was bright and clean." "I suffer from severe depression and anxiety disorder. My doctor suggested massage in addition to medication as part of treatment. Marcel was incredible. I had the most calming 90 minutes and the feeling of peace lasted well beyond the massage, I am looking forward to my next visit and I hope to see him on a regular basis. Marcel is gifted." "..Marcel is an exceptional massage therapist, particularly for those of us who appreciate deep tissue work. I look forward to making another appointment soon." "Marcel is THE BEST LMT I've ever visited -- and I've visited dozens!! He doesn't try to hit you with a bunch of theorizing. He just listens to what sort of pain you're in and sets about eliminating it. Honestly, he's a miracle worker. I've been seeing him weekly and can't recommend him highly enough. In fact, I'd get an appointment ASAP. " "Marcel was a GENIUS! He talked through my issues and did an incredible job of mixing deep tissue, Swedish, Shiatsu, and sports massage to work out the kinks. The pressure was perfect and consistent and--most importantly--he was great at connecting muscles and intuitively knowing exactly where I needed the most work done." "I heard about Marcel through a friend of mine. All I can say is "Incredible." He has wonderful, strong healing hands. He pays attention to the details, listening to your breathing, being in sync with you, knowing when to go deeper. I have had many massages in my life and I have never felt the way I did when Marcel was done. I carry a lot of tension in my middle back and it was gone, actually all of it was gone from the top of my head to the bottoms of my feet. I was so relaxed ." "I'm glad I trusted my instinct when I made a decision to see him. He wasn't only attentive during the process, he paid attention to everything I told him about my pain before the treatment began. He worked from head (massaged my scalp and face as well) to toes, but he spent more time on mlder and continuously asking my feedback. I'll definitely return to him for further treatment. Thank you Marcel."